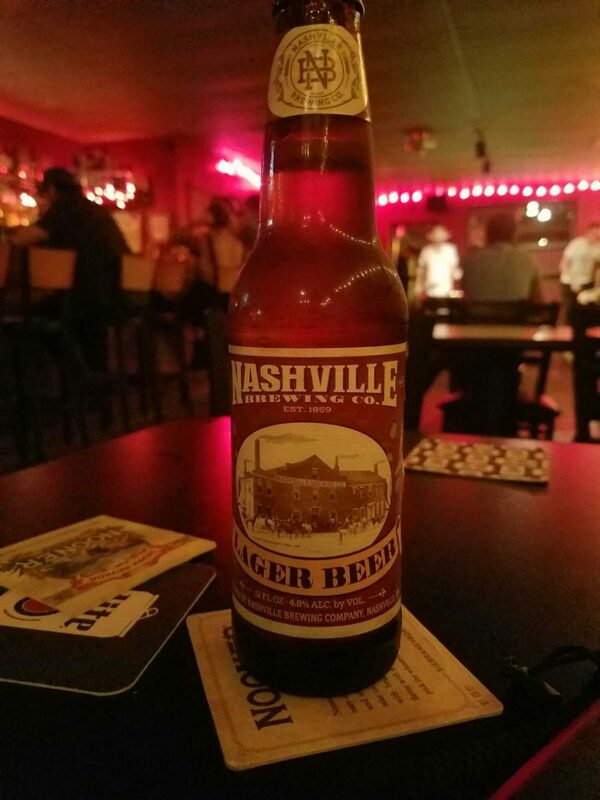 Nashville is the Dive Bar Capital of America Thanks to Dino’s and Mickey’s – Why Am I Not There? 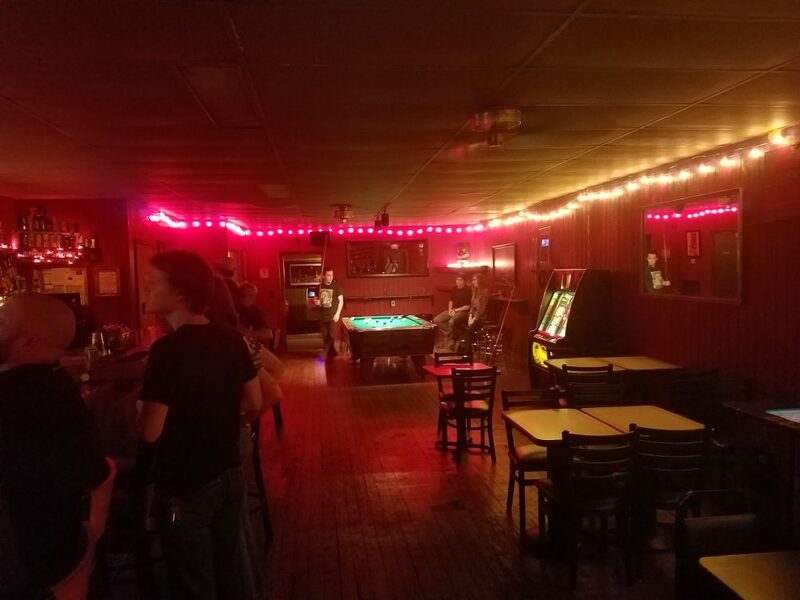 There are two types of dive bars in modern America. The first are the O.G. dive bars — the ones that have been around for a few decades, have colorful regulars, has a reputation for surliness, serve cheap beer, a real jukebox (not some digital thing), funny stickers, a lot of kitsch and has interiors that has a little bit of grit. The other kinds are the ones that are made to look like all of the above. Add in the terms “craft cocktails” and “local, substainable menu” are you catch my drift. 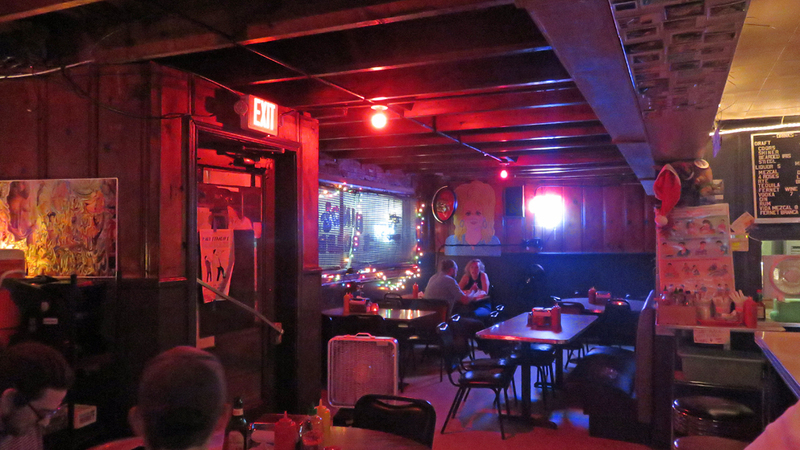 Nashville has no shortage of dive bars. Luckily, most of them are of the down and dirty type. They are populated by old timers who complain about how Nashville is changing and wear jeans that haven’t been washed since Reagan was president. They have names like Fran’s, Betty’s, Bobby’s and Santa’s. Obviously, there is a lot of ground to cover and you can spend a whole weekend going to a dozen of them. I went to two of them — one that everybody knows and another that locals love. Dino’s is the one everyone knows. It’s like the Katz Deli of dive bars — the gold standard. Like Katz’s in the Lower East Side of Manhattan, the neighborhood around Dino’s East Nashville location has changed. As in previous posts, the street has trendy business populated by skinny jeans and $70 ironic t-shirt wearing millennial musicians waiting on their next gig check. The thing with Dino’s is that it changed ownership in 2016 and a popular restaurateur was brought in to revamp the menu. That means brunch. The good news was that the new owners didn’t change much, including not putting in air conditioning and writing the special of paper plates. 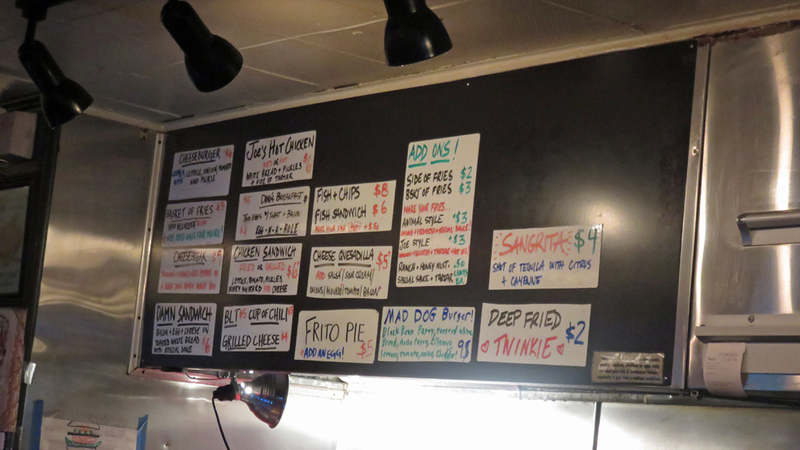 More good news it now boasts the best late-night eats and hamburger in town. You’ll notice that instantly when you walk on a hot summer night and the open kitchen is blazing with cheeseburgers and sorts of fried goodness. While there’s still cheap PBR, you’ll find a decent selection of craft beers. 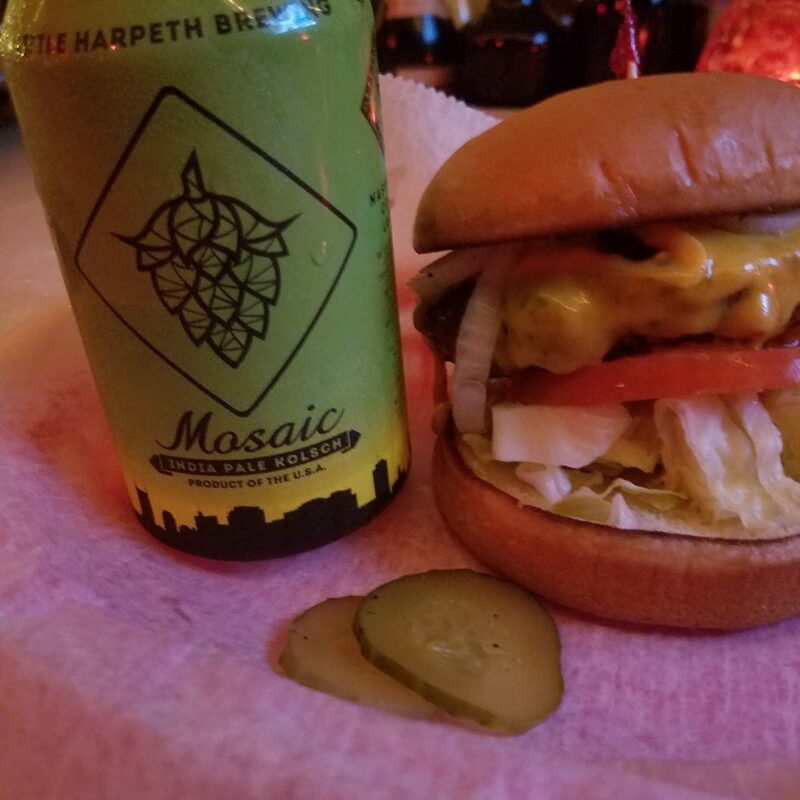 The burger was no nonsense and was easily housed in four bites. It definitely a cool place and there’s a reason why the new owners tried to maintain it’s classic style. If anything, they saved it. 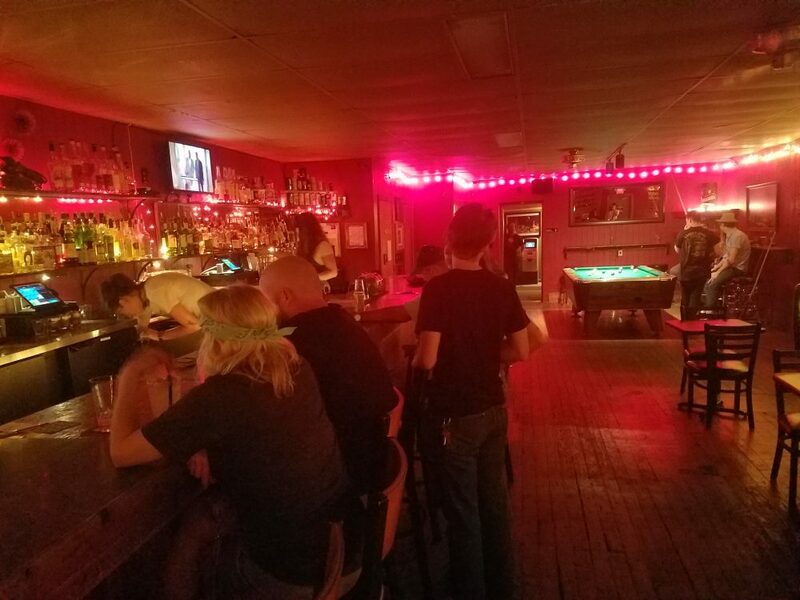 For my other dive bar, I asked the dudes over at Bearded Iris for their recommendation. 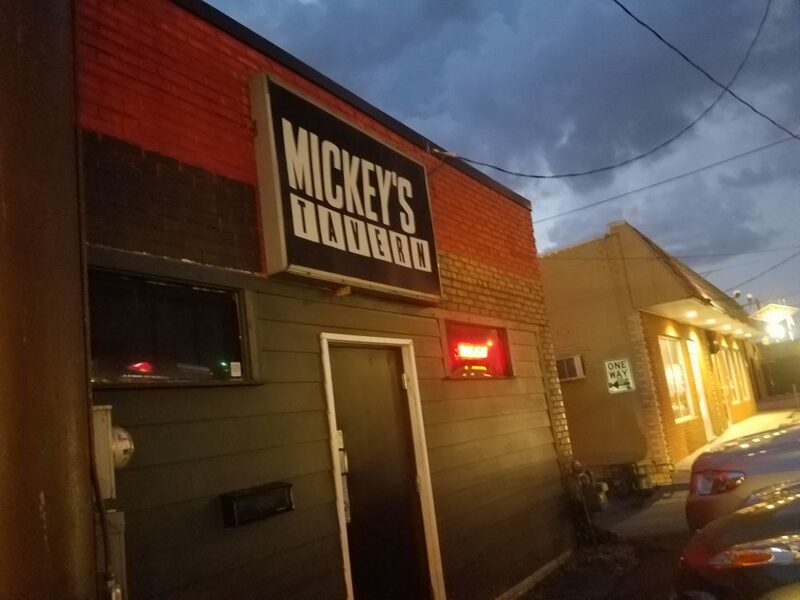 They didn’t hesitate to point me towards Mickey’s, also in East Nashville and not far from Dino’s on Gallatin. Their motto is “No DJ’s. No bands. No karaoke. No trivia nights.” Fine by me, just wanted to sit and soak in the surroundings. Like Dino’s, Mickey’s has changed hands and names over the years. Previous incarnations included Maw & Paw’s and Smitty’s. The new owners in 2014 wanted to make it as no nonsense as possible and make it for locals. Added bonus — a backyard area. This was much better place than Dino’s, just for the fact that a local couple chatted me up and bought me a beer. There’s the cheap ironic beer with a few local craft selections. In anything, it’s a decent local hangout that doesn’t feel like its catering to anybody.